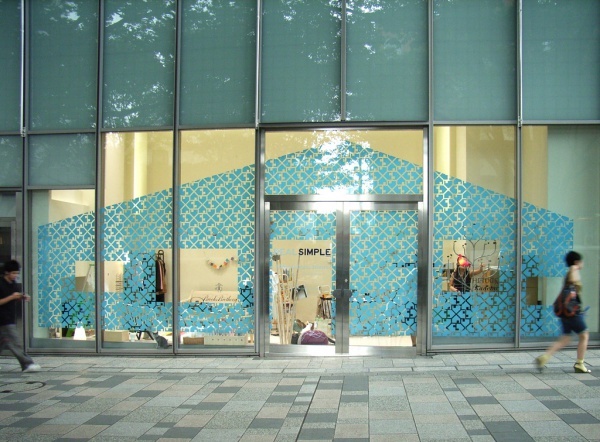 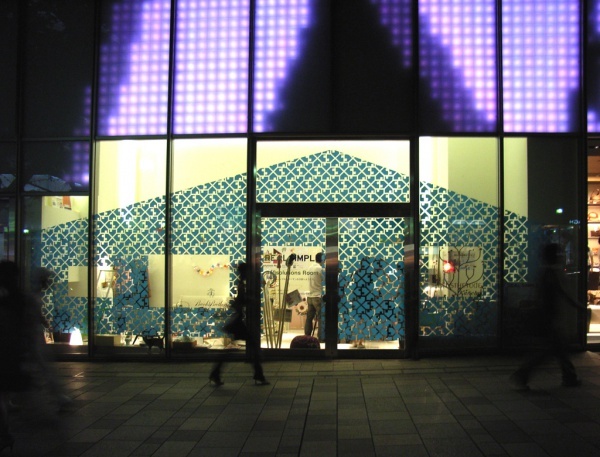 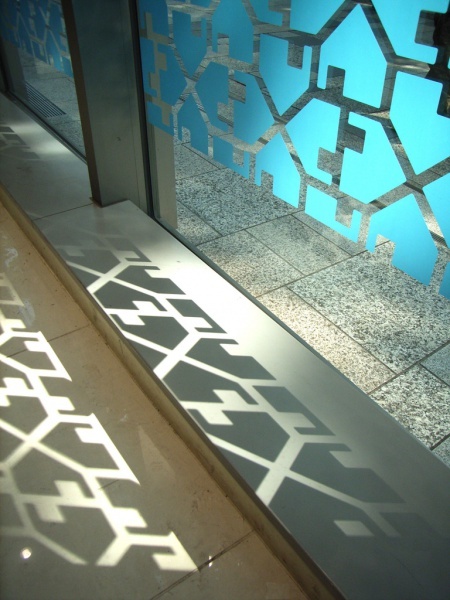 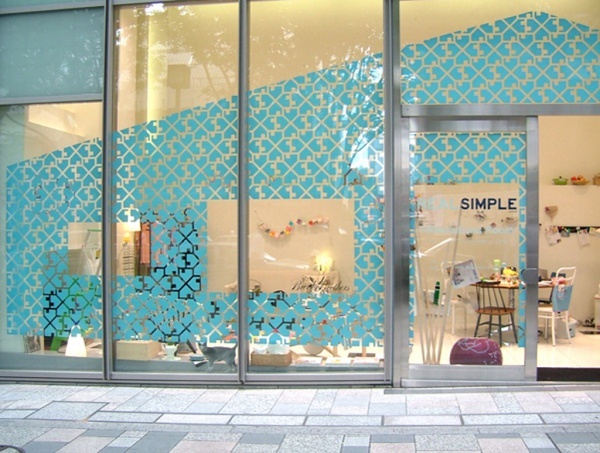 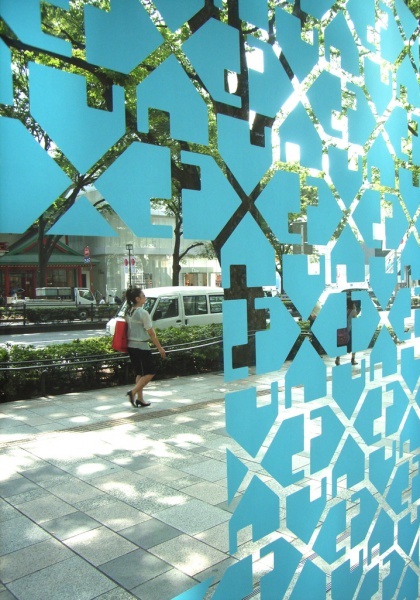 We designed the facade for the "100 Solutions ROOM" exhibition site presented by "Real Simple" magazine. 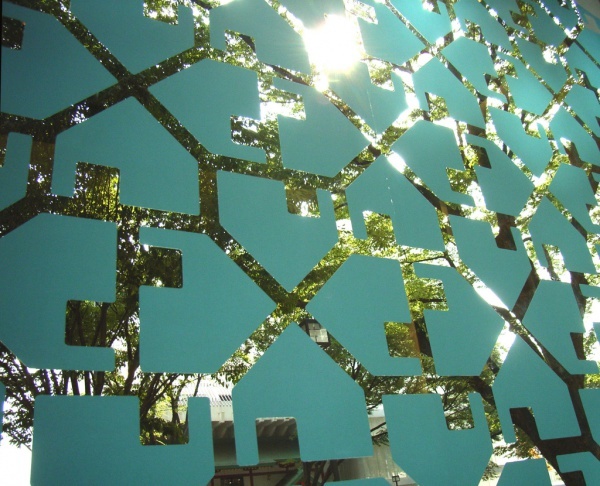 Since the concept of the exhibition is to offer 100 different ideas for living, we proposed that a gallery window should be a huge house-shaped facade, and that the huge house be composed of hundreds of small houses. 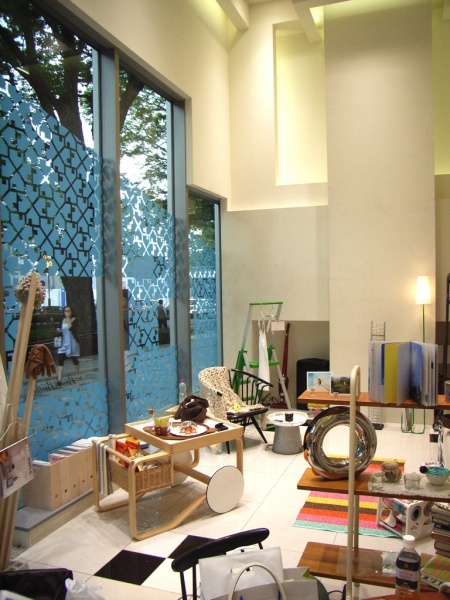 Passengers can stop by and take a look at "100 Solutions ROOM" through a window of each of the small houses. 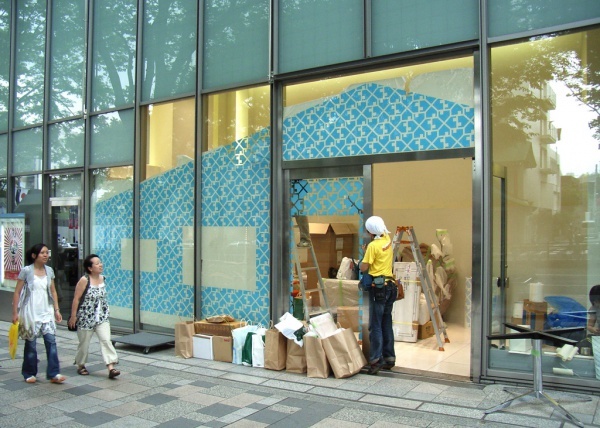 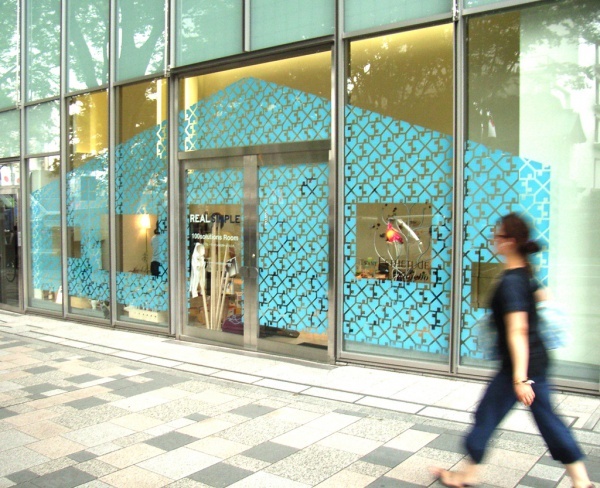 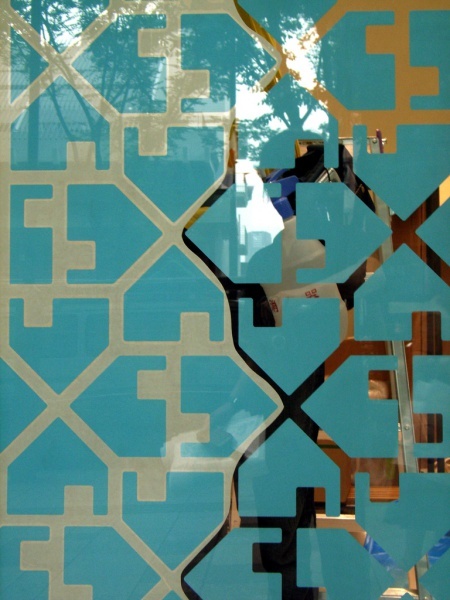 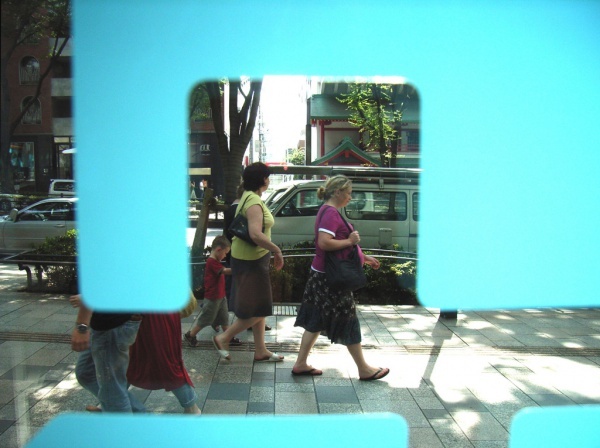 When you look from inside, you can see a pattern of sky-blue houses in the foreground of a row of shops along Omotesando street instead of an accustomed scenery that you are used to seeing.